In the 1600s, some doctors recommended their patients to save their fart in jars and sniff them to help treat exposure to the bubonic plague. The logic behind this went something like this: The Great Plague that devastated London between 1665 and 1666 was believed to be a miasma, or a deadly air vapor spread through breathing in the atmosphere. Doctors that time felt that if the polluted air could be diluted with something equally potent, it might reduce the chances of contracting the illness. So they advised their patients to have something foul-smelling at the ready. To have some kind of putrid stench on standby, some had a goat and stink up their place. 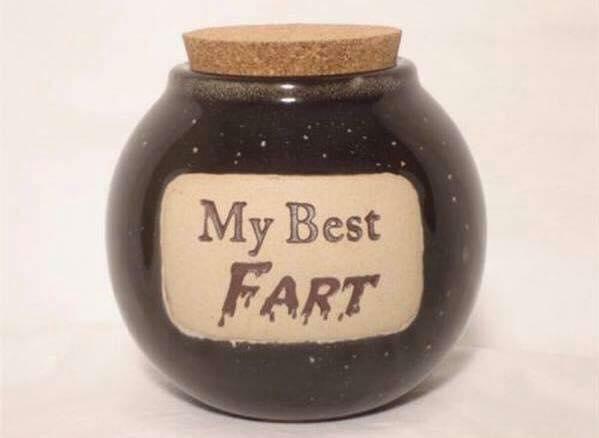 Others took to something more personal, farting into a jar and quickly sealing it. Patients would then would rush to inhale the stench when they suspected that they may have been exposed to the deadly germs. It's save to assume that the fart-in-a-jar method didn't actually save anyone from the plague. However, those saved farts may have caused a placebo effect, calming the rattled nerves of those who were alarmed by the piles of dead bodies collecting in the streets. Today, leading fart researchers claim that flatulence is a sign your beneficial gut microbes are in plentiful supply. Just don't expect your rips to ward off bubonic plague.